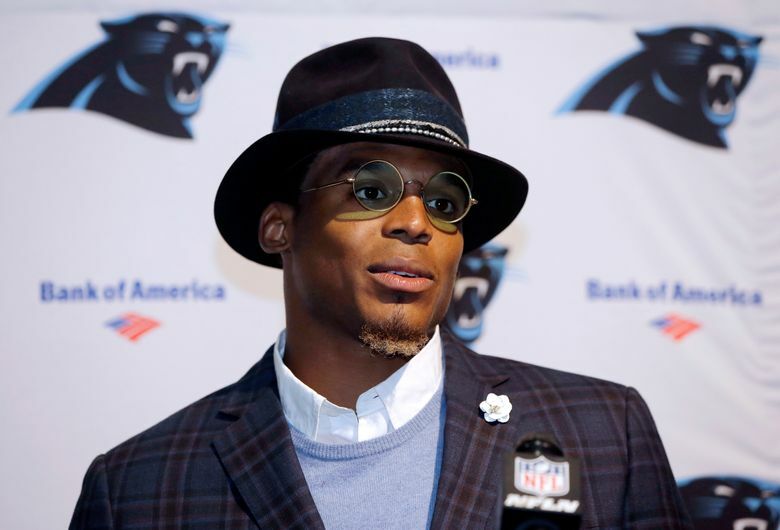 CHARLOTTE, N.C. (AP) — Cam Newton apologized Thursday night in a Twitter video post for sexist comments made to a female reporter. Cam Newton to reporter: "It's funny to hear a female talk about routes"
In the video, Newton said he’s a man who strives to be a positive role model in the community and who tries to use his platform to inspire others. He said he takes ownership to everything that comes with that. Newton also sent a message to the “young people” who follow him. However, it doesn’t appear there will be any punishment handed out to Newton. Newton’s remarks have proven costly. Dannon, the maker of Oikos yogurt, cut ties with spokesman Newton on Thursday. Company spokesman Michael Neuwirth released a statement saying it was “shocked and disheartened” at the former league MVP’s behavior and comments. Rodrigue issued a statement Wednesday evening saying she and Newton did speak after the news conference, but said the quarterback didn’t apologize for his remarks. Rodrigue was back in the locker room Thursday, flanked by Mike Persinger, the executive sports editor of The Charlotte Observer. She issued an apology herself Thursday after coming under fire for using a racial slur in tweets she posted about four years ago. The tweets were first reported by BlackSportsOnline.com. Newton’s teammate, Thomas Davis, said he doesn’t think the issue will affect the team as it prepares for the game against Detroit on Sunday. AP Sports Writers Barry Wilner and John Nicholson contributed to this report.